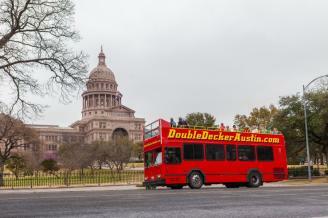 Enjoy Austin’s only hop on/hop off sightseeing and historic double decker tour! You will learn all about Austin and it’s rich history while enjoying an awesome view of the city from atop of a double decker bus. By hopping off of the bus you can self-explore the downtown districts.